Love affairs and breakups tend to be part and parcel of everyone's dating life. When it comes to celebrities, the only difference is it creates mass interest amongst fans especially when they are someone they admire. The talented actress Constance Wu is no different whose fans tend to be curious to learn about her dating endeavors. If you happen to be one of those, you're in luck. In today's section, we'll reveal every detail of Constance's love life so far. 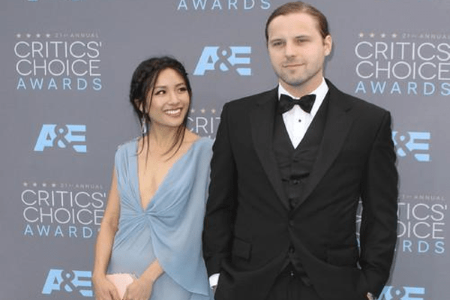 Constance Wu's Relationship Status - Is She Married? 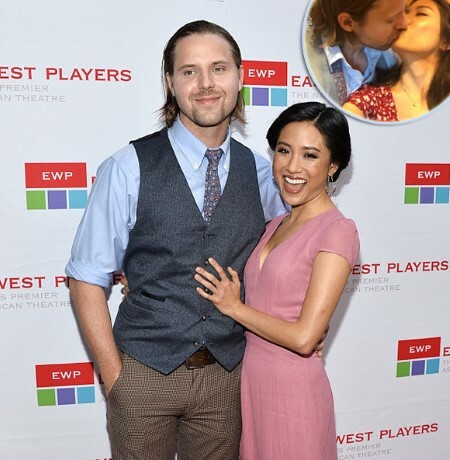 Constance Wu is never married. In fact, she is single at the moment. However, she used to be in a relationship with her former boyfriend named Ben Hethcoat. This is her only known relationship so far and they looked adorable as a couple. Constance mentioned her boyfriend in a tweet she posted back in 2015. The actress revealed she had met her Hethcoat back in 2011 at the Christmas Party of a friend named Ryan Spindell. Ben used to work as a director for Slamdance TV from 2012 to 2014. As a producer, Ben's first feature movie was Dead Dad which was released in 2014. Although Wu was born and raised in Richmond, Virginia, her family is from Taiwan. As a Taiwanese-American, Wu's relationship with her white boyfriend caused quite a stir on social media. Constance was called a hypocrite for speaking out on Asian American issues and racisms. Although it felt unjust, you can never control the wrath of the internet! Meanwhile, the lovebirds enjoyed each other's company for four years before going separate ways. Neither of them provided any statement regarding their split. Earlier, the duo made numerous public appearances together. They were pretty active on social media appreciating each other's love but it came to an abrupt end at some point in 2016. The couple's social media suggests they were still together in early 2016. In January of the same year, Ben posted a picture on his Instagram with the caption "Incredibly proud of my love". Moreover, on 17th January 2016, the pair appeared together on the 21st Annual Critics Choice Awards which was held at Baker Hanger Airport, Los Angeles, California. Later, because of some differences, which was never revealed, the couple broke up and subsequently many tweets and Instagram posts were deleted by the former lovers. Wu's ex-boyfriend currently resides in Los Angeles, California. Meanwhile, Constance is living a happy single life. She is a strong feminist, activist, and humanitarian who never seems hesitant to speak out. Wu's fans are wondering if this gorgeous lady gets into an adorable relationship again. It remains to be seen if/when she falls for someone or even ties the knot with a lucky man! Constance Wu made her on-screen debut back in 2006 with a supporting role in Stephenie Daley. She later played supporting roles in movies such as The Year of Fish and The Architect. After moving to Los Angeles in 2010, Wu featured in the movie titled Sound Of My Voice which was directed by Brit Marling. Wu starred in the critically acclaimed web series EastSiders since 2012. Constance's performances were hugely appreciated as she earned two Indie Series Award nominations in 2014 and 2016. Moreover, Wu received critical acclaim for her performance in Fresh Off The Boat. She also participated in Sundance Screenwriters’ Lab with two emerging Asian-American Directors Young Chang and Christopher Yogi. In February 2017, it was announced that Wu was going to star in Jon M. Chu's adaptation of Crazy Rich Asians. It was based on the bestselling novel of the same name by Kevin Kwan. Receiving high critical praise, the movie became the number one film in U.S. and Canada theatres over opening weekend. Born on 22nd March 1982 in Richmond, Virginia. Her parents emigrated from Taiwan. She has three sibling sisters. She graduated from Douglas S. Freeman High School where she performed in local theater. Her father was a biology and genetics professor at Virginia Commonwealth University while her mother was a computer programmer. She graduated from State University of New York at Purchase's Conservatory of Theatre Arts with a bachelor of fine arts in acting in 2005. Wu was influenced by Oscar-winning director Ang Lee. Her breakthrough arrived when she landed the role of Jessica Huang on the ABC sitcom Fresh Off the Boat. Her net worth is estimated to be $2 million.